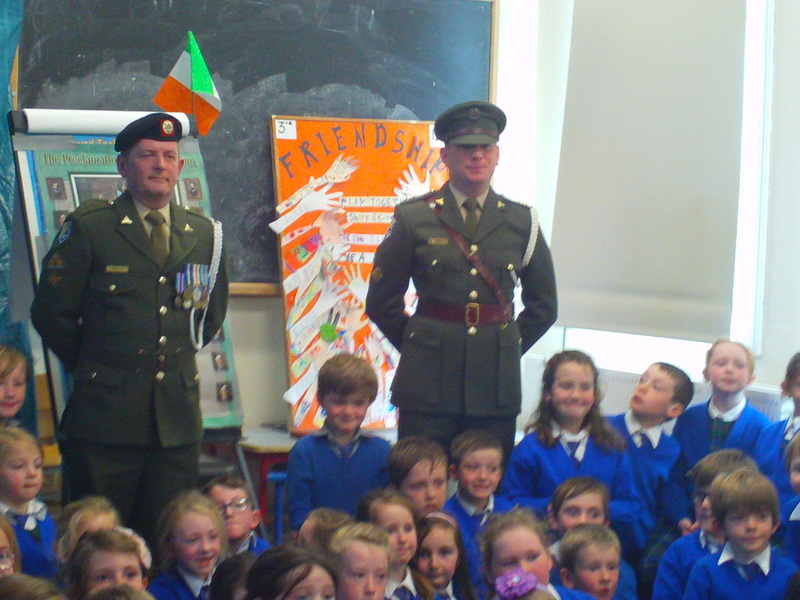 On Wednesday 14th October 2015, two members from Óglaigh na hEireann, the Defence Force, came to our school to present the national flag and a copy of the 1916 Proclamation to begin the 1916 Centenary Programme. 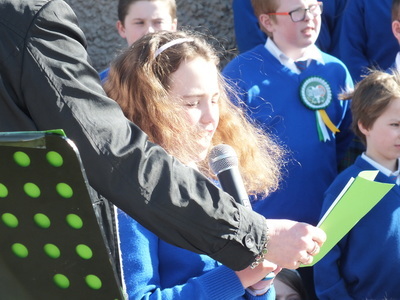 A student from 6th class read part of the Proclamation for the whole school and Mrs Davis accepted the flag. The officers explained how to take care of the flag. Pupils asked lots of questions about life in the army and their uniforms too. 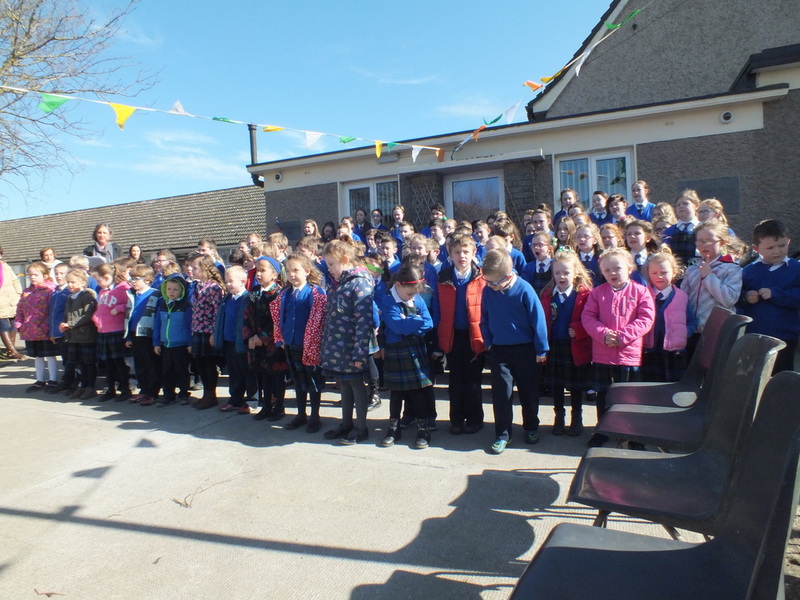 We are all looking forward to Proclamation Day on Tuesday 15th March 2016. 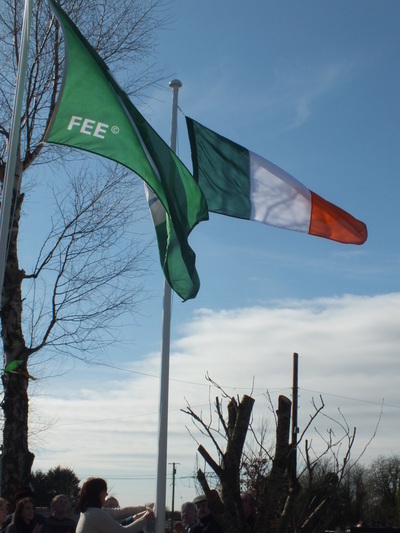 It will be a special day when all schools across Ireland will raise the national flag. Proclamation Day was a great celebration in our school. We invited our parents, grandparents and members of the community. The whole school was involved. We all assembled outside and began the ceremony with songs and music. Mrs Davis, and a sixth class pupil with representatives from the Parents' Association and the Board of Management read extracts from the 1916 Proclamation. 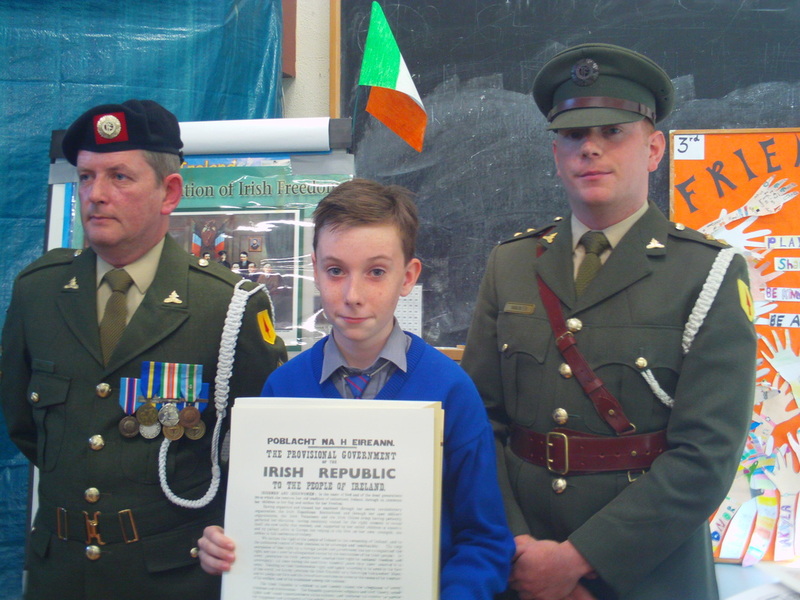 ​It was a great honour to have members of the Bulfin family, from Derrinlough who joined us on this historical day . Mrs Jane Bulfin is a daughter in law of Mr Eamonn Bulfin. He raised the Irish Republic Flag on the roof of the G.P.O. on Easter Monday 1916. 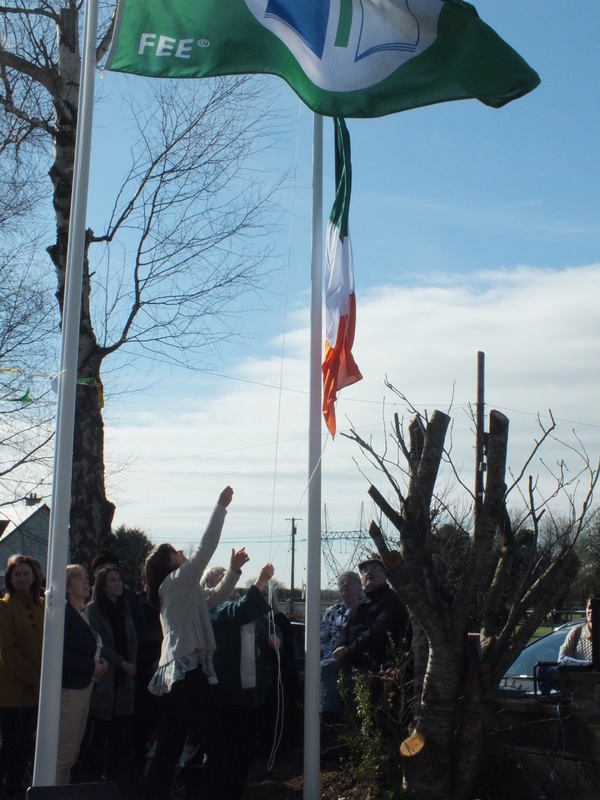 Jane and her daughters Mary Bulfin and Anita Dunne proudly raised our flag. 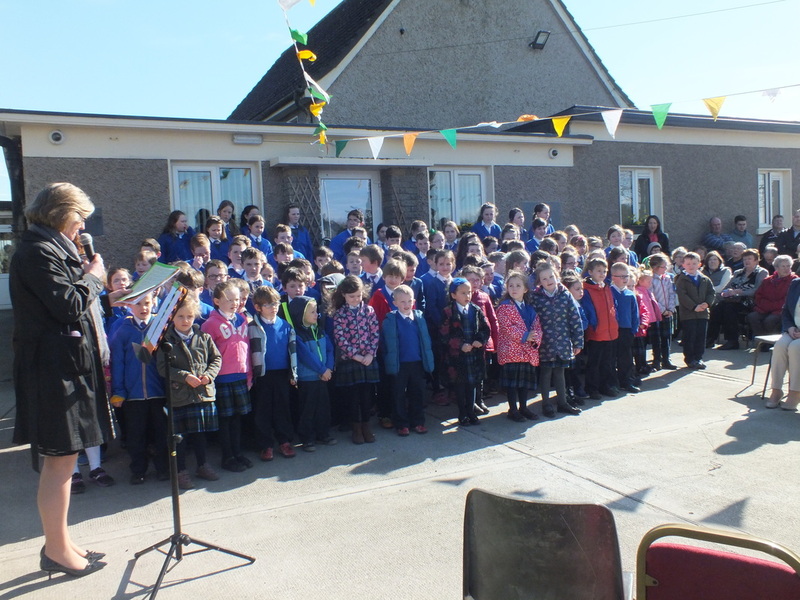 Anita Dunne, Mary Bulfin, Jane Bulfin & Rev Fr John Moorhead surrounded by parents, grandparents and guests in the sunshine. We sang songs to commemorate the Rising. 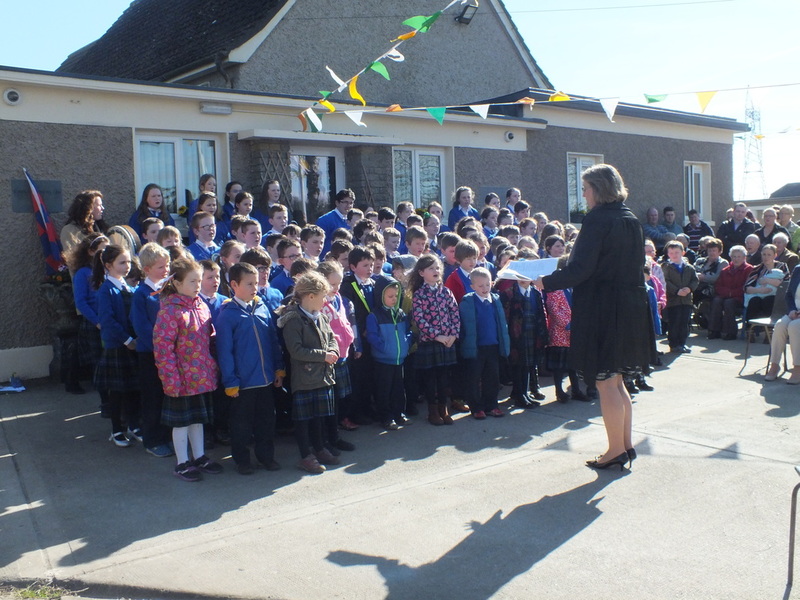 Pupils from fifth & sixth class had written Our School's Proclamation for 2016. 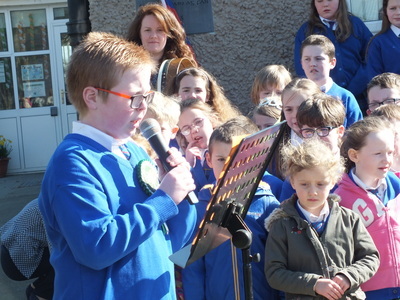 They read their proclamation in front of the whole assembly. After the Flag Raising Ceremony our guests were entertained in the school hall. 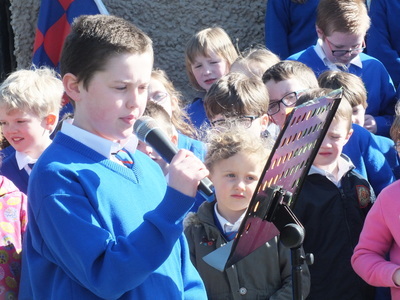 Senior pupils performed a drama based on events of the 1916 Rising. Following this , it was time to enjoy a cup of tea and sample the delicious homemade treats provided by the Parents' Association. What a wonderful historical day !! 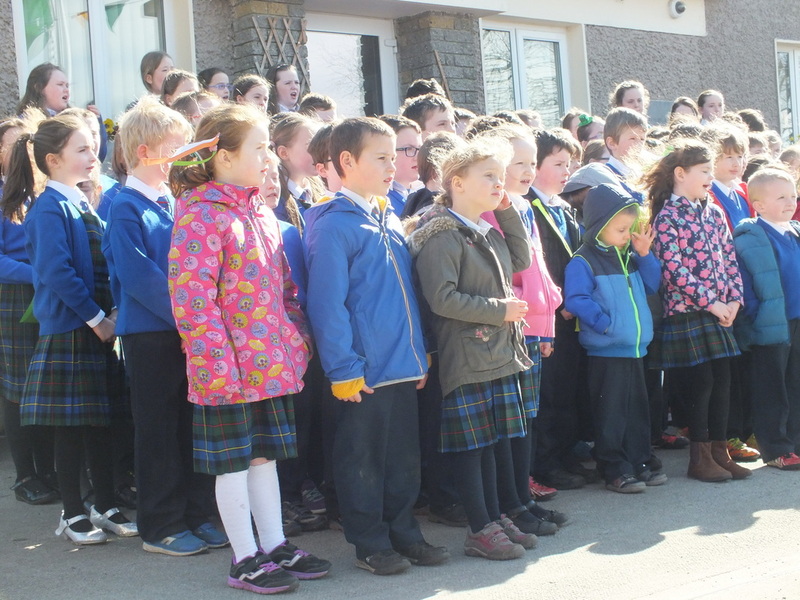 Well done to pupils, teachers, other staff members, parents and all our visitors who helped to make it a memorable occasion.